Back in the 1960’s disenchanted college students started flooding to San Franciso to try to live a different life style. They had decided that the mainstream norms of American society did not fit them anymore and that they wanted to create a sub culture that championed a different lifestyle. The heart of that lifestyle was in Haight Asbury. Still to this day there are reminders of that magical time in this wonderfully eclectic district. Still present are the book stores, the bohemian clothes shops, and the head shops. Combine these with access to many of the city’s best parks and with San Francisco famous Victorian architecture and you have the ever popular Haight-Asbury of 2013. 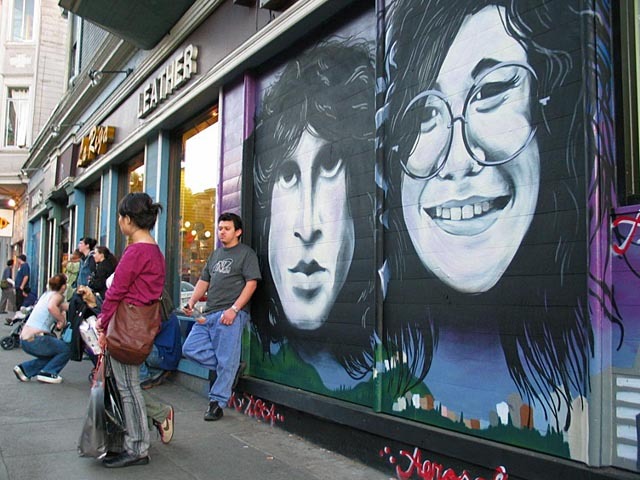 Haight Ashbury is one of the busiest commercial areas in San Franicso and is famous for having many independent businesses who specialize in alternative products. There are vintage clothes shops like Aaardvark’s Odd Ark too look for great thrift bargains and gems. Music shops such as Amoeba Records (housed in a former bowling alley), Recycled Records, and Grove Merchants – the latter where DJs find their spins. The Haight is also filed with fantastic book stores like the legendary City Lights Book Store. Haight Ashbury is also known for having great Victorian style architecture made of brick. Perhaps the best example of this is the Red Vic, a Bed and Breakfast – which also part museum and part street side cafe. A quick wander up Ashbury Street will lead you to the Grateful Dead House (710 Ashbury) the resident where the infamous band lived communally with other varied Haight characters. Haight Asbury also has access to several fantastic parks. A few of them include. – Buena Vista Park which has sweeping views over the Golden Gate Bridge and a warm sun drenched green in the summer. Golden Gate Park – San Francisco’s main park starts in Haight Ashbury then stretches to the ocean. With a variety of things to see and do this park suits all temperaments and personalities. Check out “hippy hill” which is easily recognized by the beating drums and the aromatic smoke that clouds above it all day long. Perhaps roaring nightlife isn’t the strength of Haight Ashbury, but still there are a few cool bars and pubs to fall into as the sun goes down. Hobson’s Choice specializes in cocktails; Club Deluxe plays live swing and jazz music; Mad Dog in the Fog is the Haights British pub, and Noc Noc is an edgy artsy bar full of locals. A great time to be in Haight-Ashbury is for its yearly street fair on the second Sunday each June. Traffic is blocked and live stages are erected and food and varied stalls are set up.